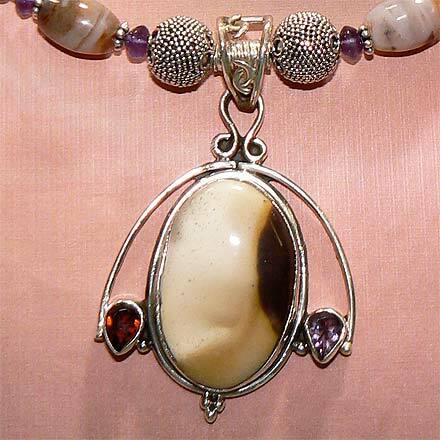 Sterling Silver Montana Agate, Amethyst and Garnet Necklace. See Closeup. 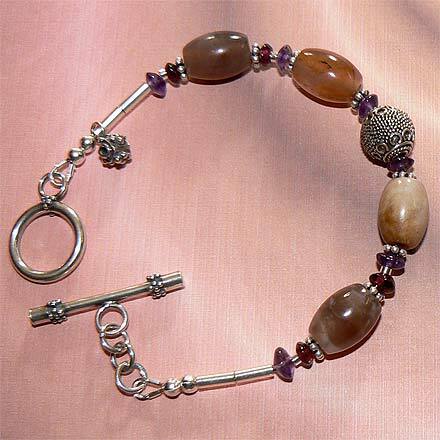 Sterling Silver Montana Agate, Amethyst and Garnet Bracelet. 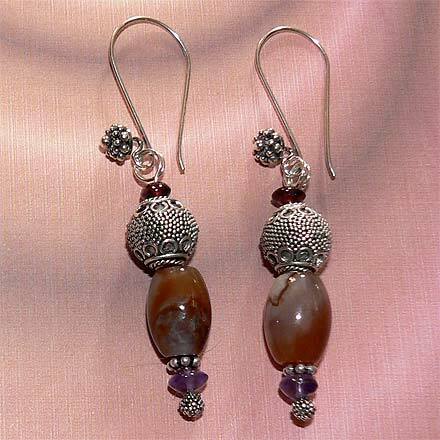 Sterling Silver Montana Agate, Amethyst and Garnet Earrings. I'm not sure if Montana Agate is the actual name of this stone (like Dendritic Agate), or if it just Agate that comes from Montana. That is what both the beads and the main cabachon in the pendant were called. 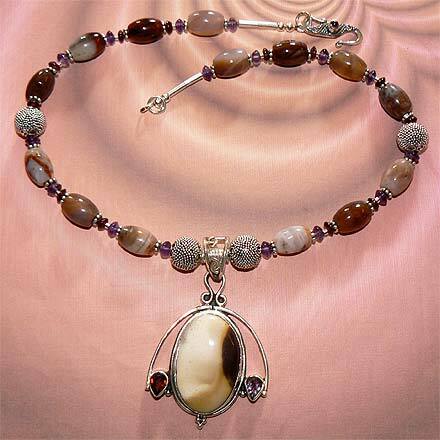 The necklace also has an Amethyst clasp to match the Amethyst in the rest of the jewelry. You'll also love the granulated "berry" beads from Bali used throughout. For those who are interested in Astrological significances of stones, Agate corresponds with Capricorn and Gemini, Amethyst corresponds with Pisces and the month of February, and Garnet corresponds with Capricorn and Aquarius and the month of January.